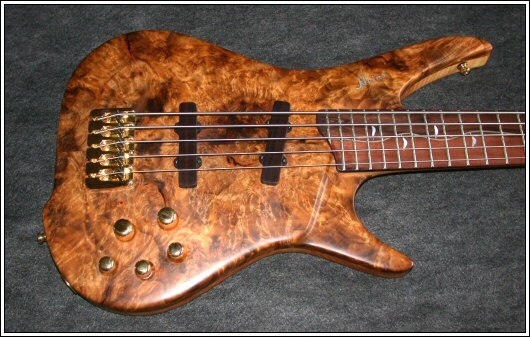 This is one of our first two basses by luthiers Wim Heins and Hette Bonnema of Heins Guitars of Sneek, Holland. 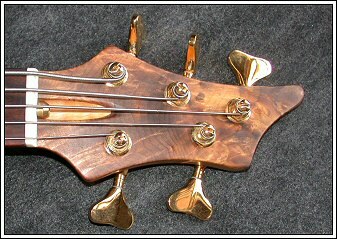 Code named LAG-1, this is the more deluxe of our first 2 Heins basses. 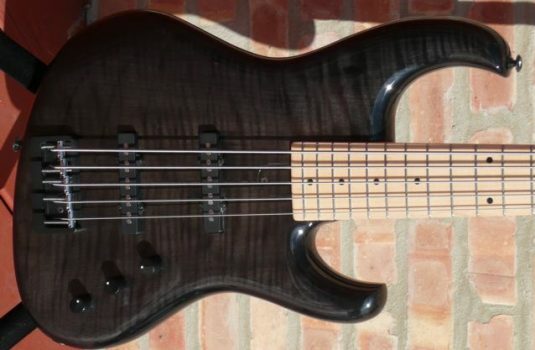 The body is Riegle Ash, the top an exquisite hunk of highly figured Imbuia , the neck is Quilted/Birdseye Maple with a Corormandel fretboard ( also known as Macassar Ebony ) . 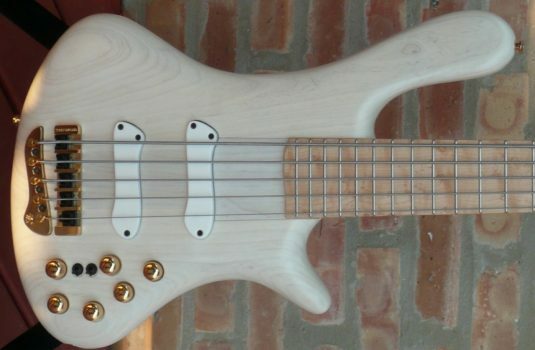 Check out the fretboard inlay. a real silver vine leading to Abalone Tulips’ fitting , considering this basses’ origin. 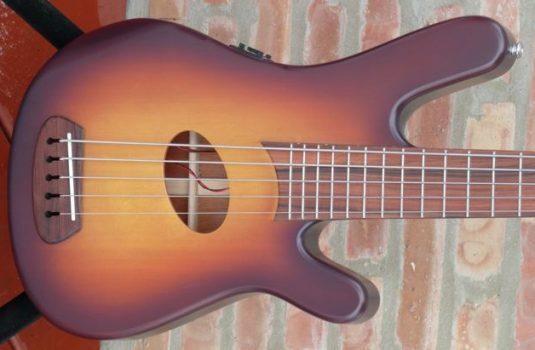 Note the set-in neck construction, a technique that is seldom used these days, but to my ears yields excellent bottom end response and more “snap” than many neck-thru basses. The neck scale is 34 and the low B string is deep and articulate. (You CAN order other scale lengths). The pickups are by Coiltec, an European brand that is new to my experience. They are single coil style, very robust and clear without being sterile or harsh. 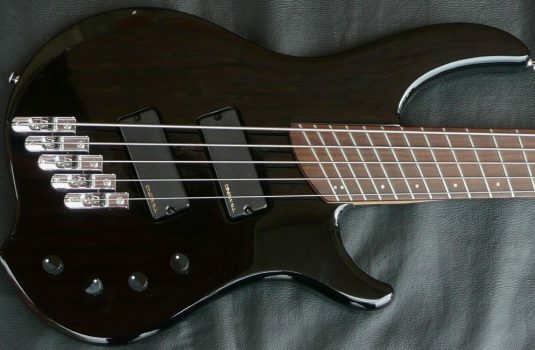 This bass utilizes a Bartolini preamp with volume, blend, and 3 band EQ with 2 position mid frequency selection option. 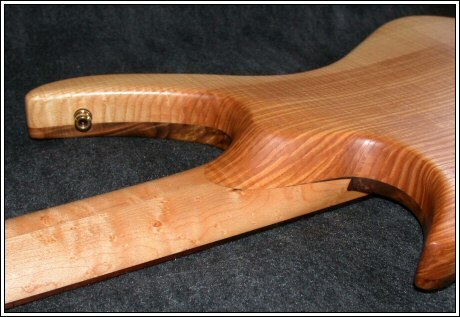 Neck and body have an oil/wax finish.